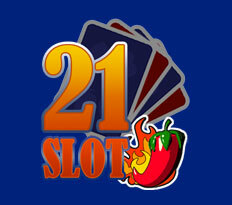 Overview: The theme of Slot 21 is based on the card game Blackjack. 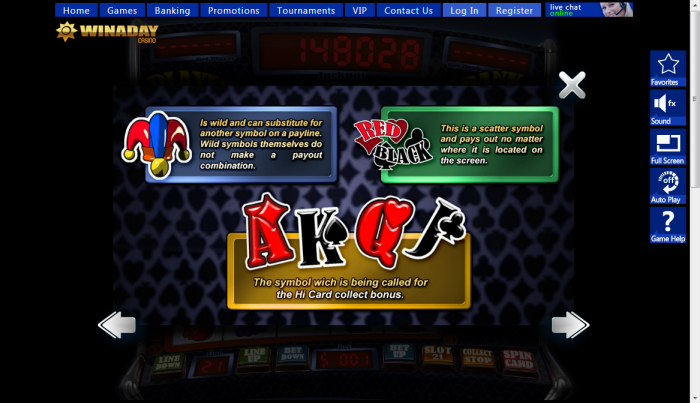 The layout is similar to the old pub style slot machine games. The reels are at the bottom of the screen with a mixture of traditional and innovative symbols. There is also a side game with Slot 21, which is inspired by Blackjack. The wager amounts for this game range from $0.01 to $4. If you can collect all of the Ace, King, Queen, and Jack icons, you can win a special payout of 2 to 200 times your original bet. 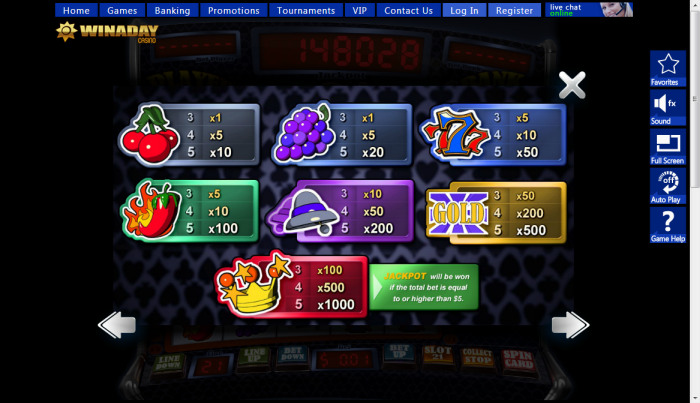 The wild symbol of this slot game is the Jester Hat, and can replace any symbol apart from the scatter symbols. The black and red ace icons are the scatter symbols, which unlock the bonus game if they appear on the 5th reel. In one of the bonus games, you need to guess what the next card will be, red faced card or black. In the second bonus game you have to try get the best Blackjack hand of 21 to beat the dealer and increase your wins. You can also win the progressive jackpot playing Slot 21, which means a minimum of $50,000 can be won if you can get the crown symbols to appear five times on the reels. 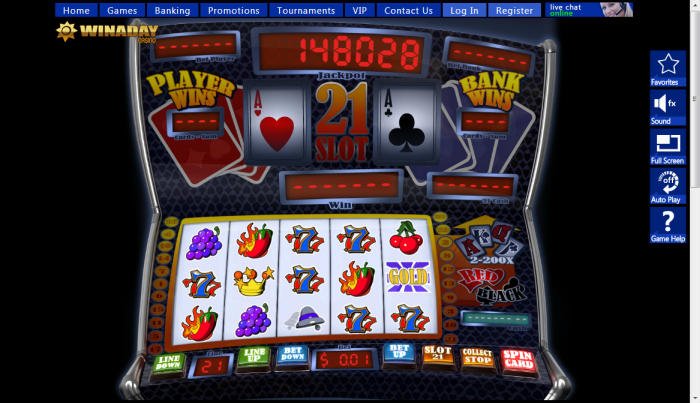 You get high payouts with this game and maybe that is why this game is a favorite slot among a large number of players. Similar Slots: If you like Slot 21, you might like these other slot machines from Win A Day Casino: Alice in Wonderland, Busted!, Joker's Tricks, Slot-O-Matic, Vikings.